Named after our first-born daughter, Cuvée Katrina Eileen is primarily composed of fruit from a vineyard in the Western Hills of Yountville, where yields are miniscule. The extremely rocky soil of the vineyard produces concentrated clusters of perfectly ripened Cabernet Sauvignon. In German, the name “Katrina” represents purity and fittingly, this wine is made entirely from the Cabernet Sauvignon grape, providing a pure expression of this decadent varietal. It also reflects our daughter’s personality with flavors that are complex, unreserved and expressive. The 2016 Cuvée Katrina Eileen has tremendous personality and character. It displays an opaque purple-black color that is deeply perfumed with red and black fruits. Sweet scents of rose petal mingle with black licorice, café mocha and Créme de Cassis. 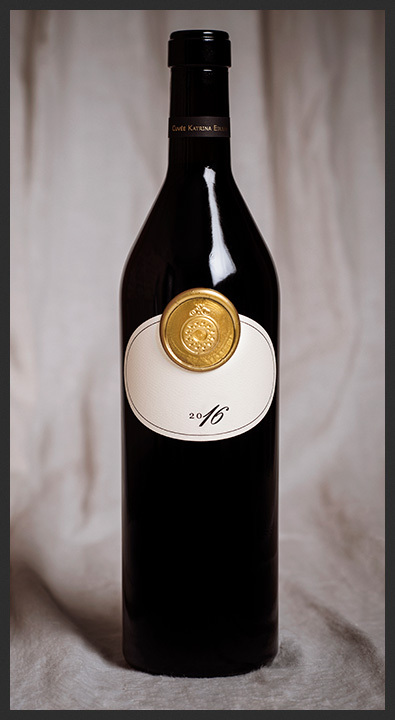 Exceptionally rich and complex flavors bursting with blackberry preserves, dark chocolate and cherry pie blend harmoniously with the dense, velvety tannins, which lead to a long and luxurious finish.